The acai berry is a rich purple palm fruit indigenous to the Amazon rainforest. As a purple fruit, acai berries naturally contain the purple pigments known as anthocyanins. For hundreds of years, these small dark berries have been integral to the diet of native Amazon people. 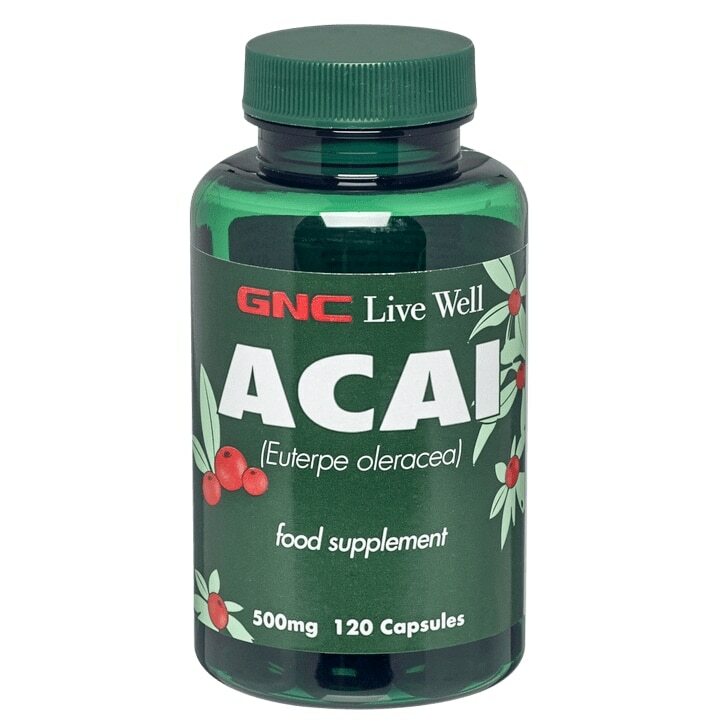 These capsules are a convenient and fast way to supplement with acai berry in one simple capsule. Take one to two tablets three times daily, preferably with meals. Do not exceed recommended use. Bulking Agents (Dicalcium Phosphate, Microcrystalline Cellulose), Acai Extract, Anti-Caking Agents (Magnesium Stearate, Silicon Dioxide).